NHRC Recruitment 2018 News: Check NHRC Recruitment 2018 online as this page is dedicated to give all new updates on NHRC jobs in 2017 in coming months, till you may view previous circulars. Earlier National Human Rights Commission (NHRC), New Delhi this time comes with various Posts and you can see online notification of NHRC Recruitment given at www.nhrc.nic.in. Eligible aspirants have must read all guidelines carefully and submit application form on or before as per official schedule. There is written examination for stenographer post and exam centre is in delhi. More details of NHRC Recruitment 2018 regarding like salary, age, eligibility, fees and application process are given below…. The National Human Rights Commission (NHRC) was constituted on 12/10/1993 under protection of human rights. 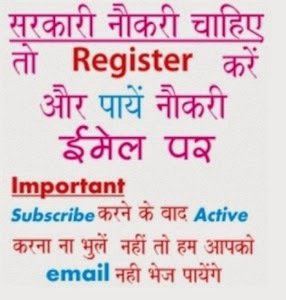 In this page we will give all latest recruitment notices issued by NHRC. The candidate should be 12th Pass or equivalent from a recognized board or University and having speed of 80 words per minutes (wpm) in Shorthand (English/Hindi).